Sash windows are one of the most recognisable types of windows in England, dating from the time just after the great fire of London in 1666, yet little is known about their history. The birth of the sash windows had little to do with fashion. Rather, they were the response to a rather practical problem. Back in the seventeenth century, the streets of London were narrow. Adjacent houses were often just a few feet away from each other in the crowded city centre, meaning that a regular, outward-opening window risked knocking into the houses on the opposite. Sash windows solved this problem by allowing their owners to slide them up rather than open them out, both saving space and avoiding arguments with the neighbours. Though many people believe that sash windows were an imported design from the emerging British empire, they were not. In fact, they were exports to the colonies in the Caribbean and India and proved so popular that they became part of the colonial aesthetic. Many sashed windows started off as horizontal sliders, but over time the fashion changed, and vertical sliders became the norm. The sash windows we see today are the product of various architectural movements. For instance, the multi-paned sash windows so prevalent in areas like London, originate from the Georgian period, dating from 1714 to 1811. These windows emerged as a consequence of the high costs of large sheets of glass. Rather like the stained glass of the medieval world, panes were split up into an even grid pattern surrounded by wooden frames. Following a number of fires in London, the regulations for sash windows were updated. 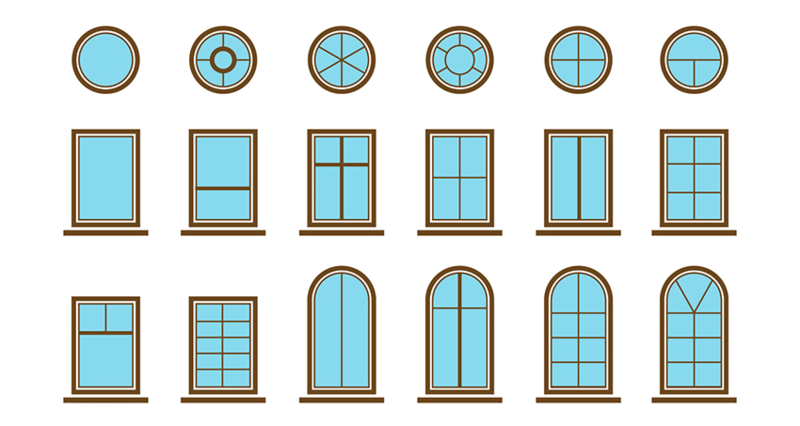 After 1774, all window frames and doors had to be recessed by 4 inches. Designers believed that this would make it more difficult for fire to spread from one building to another. Though sash windows emerged as a matter of practicality, they soon became a fashion statement. Rich merchants began installing ever-larger sash windows, some with large arches over the top, as a symbol of their newfound status and wealth. There was a competition among many wealthy homeowners to see who could have the largest panes: the larger the pane, the more expensive the window, and the wealthier you were. In the Victorian era, glass-making technology improved dramatically. This allowed the panes to get bigger still, meaning that from around the 1830s, those who had the money began making their windows ever larger. In the Edwardian period, better manufacturing techniques meant that sash windows became a statement feature of many estates. Builders began constructing homes with floor-to-ceiling windows, many of which were several feet wide. Though building techniques had improved, many wealthy homeowners decided to stick with the basic panelled sash window design. Because the glass in the windows was getting so heavy, sash horns were introduced. If owners could afford it, many also included stained glass in the upper section of the windows, especially from the 1850s onwards. In the modern era, sash windows are mostly lost to history, thanks to demolition and modern replacements. However, they remain a popular choice for people with discerning tastes who want to recreate a piece of history in their own properties.